I used chorizo made of seitan (wheat-based “meat”) for this recipe. I made the chorizo using a base of wheat gluten and adding chorizo spices and steaming it. 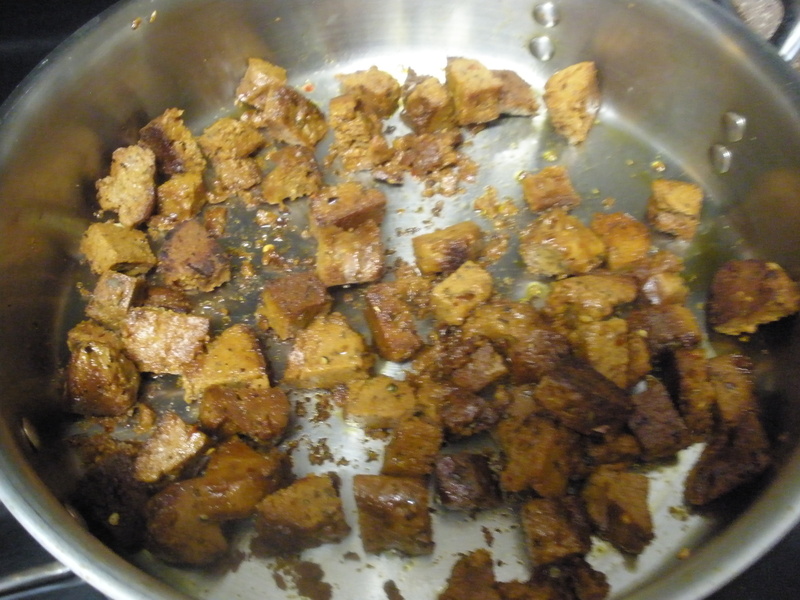 Though not hard to do, I can imagine one not wanting to make their own chorizo seitan. Field Harvest also makes an excellent wheat-based chorizo. If you’re a meat eater, you can obviously use an animal sausage, which is used in the traditional dish. Or, instead of chorizo, you could substitute white beans to provide a similar level of heartiness. Heat the oil in a soup pot over medium heat. Meanwhile, chop the onion, potatoes, and garlic. Once the pan is hot enough, add the onions. Cook for 2-3 minutes, and add the garlic, potatoes, and thyme. Stir to mix, and then add the water and bouillon. Turn on high to bring to a boil. As the potato/onion/garlic mixture heats to a boil, get out a skillet and heat a few tablespoons of oil to brown the chorizo. Once the potatoes come to a boil, turn the heat down to medium/medium low, cover, and let cook for about 10 minutes, or until the potatoes are soft. 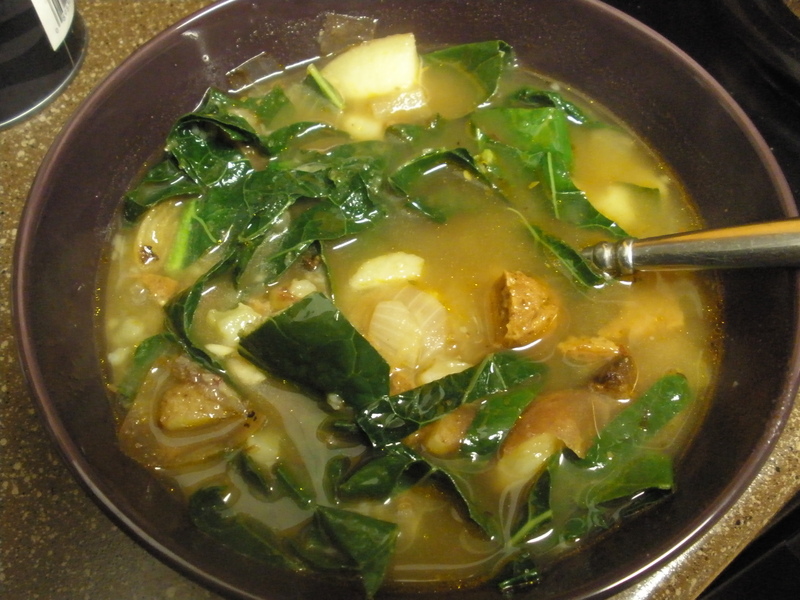 While the soup cooks and you keep and eye on the chorizo, wash your kale and chop it into strips. 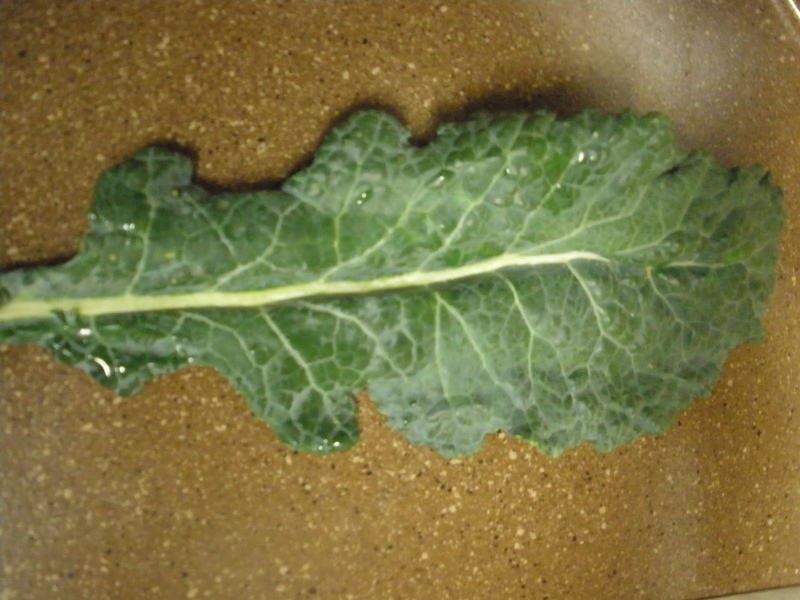 Once the potatoes are cooked, add the kale, stirring the soup the incorporate the kale. Only cook for 1 or 2 minutes. Remove the soup from the stove, adding the salt and pepper. Mix in the chorizo, and serve with a splash of red (or white) wine vinegar and a bit of hot sauce if you like.